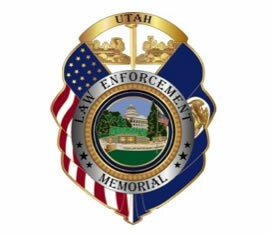 Officer Cooke was the first Utah police officer to be murdered in the line of duty. On the afternoon of October 13, the 55-year-old victim was on duty and alone at the city jail. Two men came to the jail and demanded the release of an inmate. When Officer Cooke refused, one of the men shot him in the thigh. Officer Cooke died five days later. The killer fled Salt Lake City. He was shot and killed October 21, near Fort Bridger, Wyoming, by a Salt Lake mail carrier familiar with the murder. Officer Cooke was married and the father of six children. He is buried in Salt Lake City Cemetery. His bronze name plaque is sponsored by the Salt Lake City Honorary Colonels. The Utah Peace Officer Association is going to be honoring Officer William Cooke at the Fallen Officer Trail Ride in Moab on April 18 2015. We would like to invite Family and friends to come to the event to help Honor Officer Cooke and all our Fallen Officers.